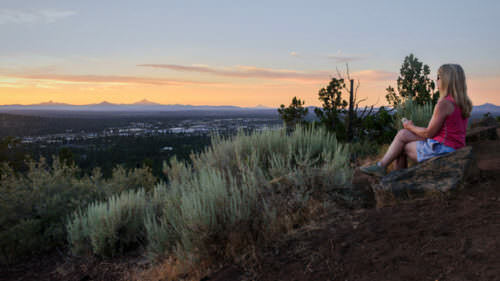 Set amid rolling hills of green and gold, verdant mountains, and the orchards and farms just southwest of Portland, Yamhill County does two things best: world-class wine and walkable small towns. With more than 300 wine producers calling the area home and regular buses to regional destinations, getting there isn’t a problem — but never wanting to leave might be. 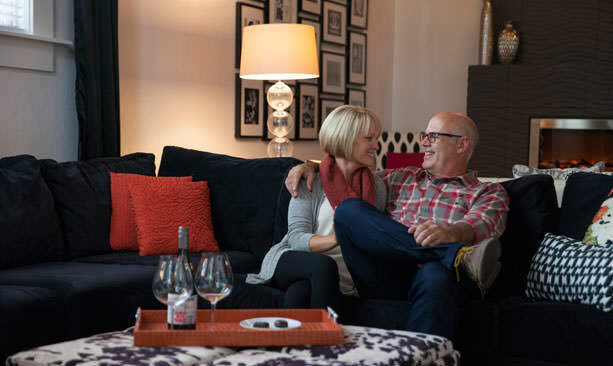 Choose McMinnville as your small-town home base. You can reach the town (home to America’s second best historic Main Street, according to “Parade” magazine) by taking the MAX Blue Line light-rail train from central Portland to Hillsboro, then switching to Yamhill County Transit Area’s route 33. Based in McMinnville, Yamhill County Transit Area will be your main mode of transit for your stay in the heart of the northern Willamette Valley; Yamhill County Transit buses are referenced below by their route numbers. Limited on time? For full- and half-day excursions from Portland, your best bet is to join a public tour or book a private experience for your group. A number of tour operators in the Portland area offer a wide array of wine-focused tours, including Grape Escape Winery Tours, EcoTours of Oregon, Great Oregon Tours and Oregon Tour Co., just to name a few. 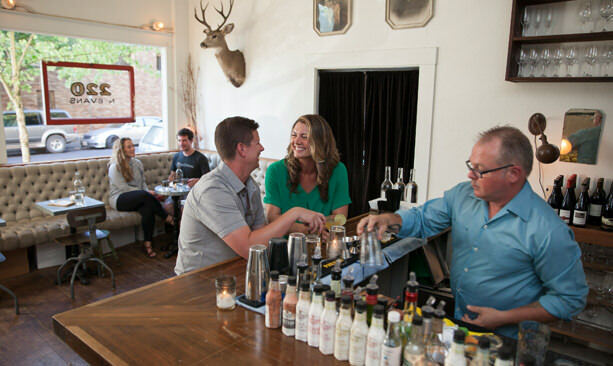 Here it’s all about harnessing the best of the Willamette Valley wine-country lifestyle. There are plenty of charming and homey lodgings in and around McMinnville, but a couple historic hotels are of particular note to car-free travelers seeking accessibility without sacrificing style: Book overnights at 3rd Street Flats, European-style apartments overlooking the town’s hopping Third Street historic district. 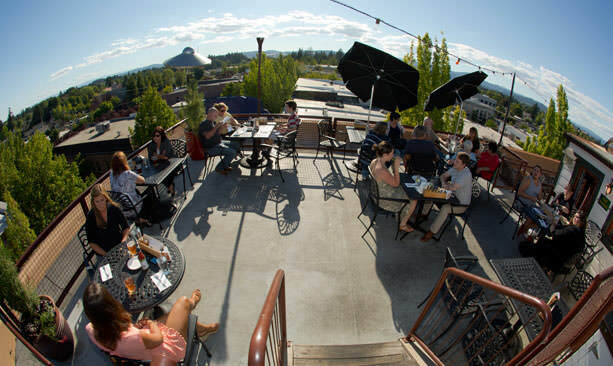 Another central spot, McMenamins’ Hotel Oregon is the site of a famous rooftop bar, a fun pub atmosphere and live music. The main drag, Third Street, is a walker’s paradise. Grab breakfast at any number of local joints, such as Community Plate, Crescent Cafe or WildWood Cafe. Jeans pair just fine with upscale dining for lunch and dinner wherever you go. A few of the most distinct dining destinations include the classic French Bistro Maison, farm-to-table favorite Thistle Restaurant & Bar, Nick’s Italian Café and locally inspired Spanish restaurant La Rambla Restaurant & Bar. 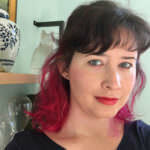 Shops like Third Street Books, Boersma’s Sewing Center and Mes Amies are fun diversions. Third Street is also the spot for oenophiles on foot. For a glass of Oregon’s world-famous pinot or a refreshing bubbly, seek out R. Stuart & Co. Wine Bar, Willamette Valley Vineyards or nearly a dozen other in-town tasting rooms. In the city’s Granary District, nab your morning brew at coffee roaster Flag & Wire Coffee Co., located in a refurbished granary space shared with Grain Station Brew Works. Discover artisan wine producers Dominio IV or head to Oregon pioneers Eyrie Vineyards, the first to plant pinot noir in the valley. If the landscape beckons, hire a private company such as A Vineyard Wine Tours for door-to-door service along a custom vineyard itinerary, or Insiders Wine Tour, focused on introducing you to boutique wineries off the beaten path. 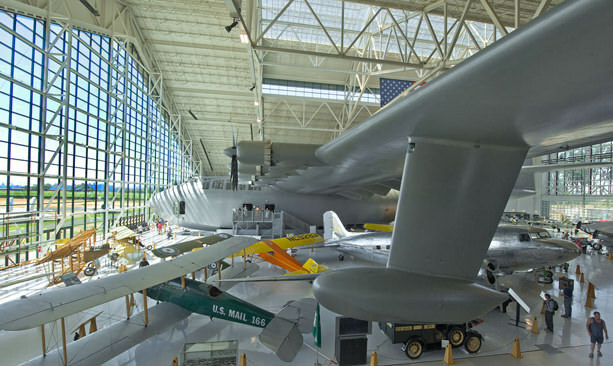 For aircraft buffs, the Evergreen Aviation & Space Museum is the area’s must-visit attraction; reach it by taking Yamhill County Transit’s route 2 from the downtown transit center. It will drop you at Chemeketa Community College’s Yamhill Valley Campus, and you’ll have to walk another mile from there, but it is well worth the effort. Expansive exhibitions located in two enormous hangars tell the story of America’s space and aviation history. Impossible to miss? The Spruce Goose, Howard Hughes’ famous giant wooden airplane. Educational films run several times a day at the on-site IMAX theater. Just steps away is the Wings & Waves Waterpark, an aviation-inspired indoor park with slides, wading pools, wave pools and an education center. Aerial views might be the best way to get the lay of the land. Take a scenic tour with Konect Aviation in McMinnville, which flies over the vineyards of three major American Viticulture Areas (AVAs): the Red Hills, McMinnville and the Eola-Amity Hills. 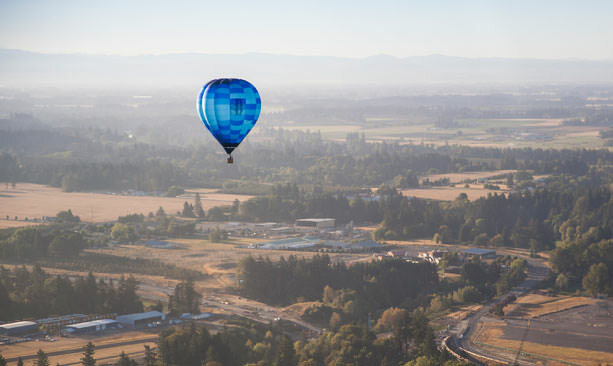 Or take it super slow and lofty on a weekend hot-air balloon ride with Vista Balloon Adventures in Newberg. You’ll have to hire a taxi to get you there for a sunrise departure time; try Super Cab Taxi. If mid-week gaming and a show is your bag, the state’s most popular casino is just 25 miles down the road. The Spirit Mountain Casino Shuttle runs from the Newberg Bi-Mart to Spirit Mountain Casino in Grand Ronde on Mondays and Wednesdays and from other locations throughout the Portland metro region. You can also take Yamhill County Transit’s route 22 toward Grand Ronde. With an extra day to spare, the Coast is calling. From Grand Ronde, take the Coastal Connector toward Lincoln City. 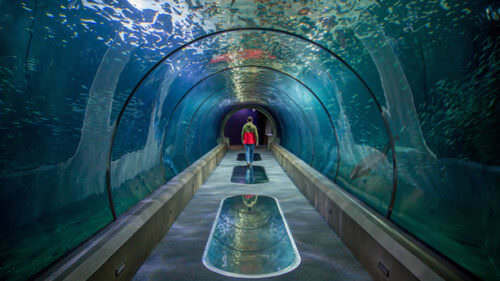 The bus will drop you at Chinook Winds Casino Resort, just a few hundred feet from the beach. 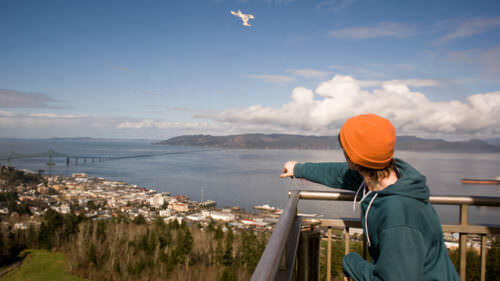 In Lincoln City, you can visit the Lincoln City Outlets to peruse more than 40 brand-name stores, pop into beach shops such as the geology-themed Prehistoric Oregon and walk 2 miles to Devil’s Lake State Recreation Area. For slower beach life and some full-bodied adventure, the coastal town of Pacific City can’t be beat. 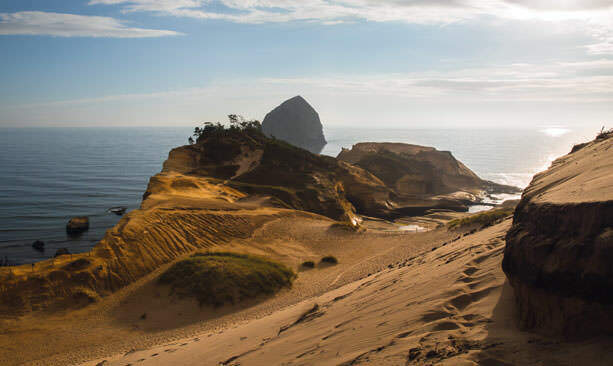 Take bus route 4 of the Tillamook County Transportation District (aka The Wave) heading north for about 30 minutes to Pacific City, where you’ll find three accessible beaches, surfing and Pelican Brewing Company, with its stellar views of the state’s largest haystack rock. Snag a private surf lesson and all the gear you need at Moment Surf Co. To the north of the main beach is Cape Kiwanda State Natural Area, which has unmatchable views of the coastline — well worth the sandy trek. Check ahead — Willamette Valley wine country is a year-round destination. In fact, visiting off-peak season means you’ll experience it like the locals do, with fewer crowds at the area’s celebrated tasting rooms and restaurants. Even so, many wineries and other attractions have limited hours during winter, so call before heading out. Weather in the valley is typically drizzly and mild, though occasional inclement weather can cause closures. Cab services — Tired of walking? Your car-sharing apps won’t work here in the valley, though you can hail a number of reliable cab companies that service the area, including Super Cab Taxi. Bike travel — If you intend to travel with a bike, you’ll be pleased to know that both TriMet and Yamhill County Transit allow you to bring your bike. The local tourism authority has outlined several great itineraries for road riders. If you need expert bike advice, head to the long-standing Tommy’s Bicycle Shop, which services the Yamhill County area. During the month of May, wineries from Milton-Freewater to the Applegate Valley open their doors for special events and tastings. Explore vineyards, sample flights, enjoy live entertainment and unique food pairings, as well as winemaker dinners and discounted bottles of wine. For more information, visit OregonWine.org.